Your Legacy: Making a Difference. The 1894 Society recognizes those who have included The Virginia Home in their financial or estate plans. Through the years, legacy gifts have been an important funding source in helping us maintain our commitment to compassionate, lifelong care for our residents. Real Estate – make a great gift and avoid capital gains tax. We are happy to discuss gift methods with you at any time without obligation on your part. Cyril Orlando Motley (Bill) married Margaret Elizabeth Traylor in Bennettsville, South Carolina, on September 9, 1941. They grew up in the same neighborhood and before he got a car, she used to ride on the handlebars of his bicycle. As a young man Bill served in the Army during WWII, seeing combat in Italy and France. After the war, he began working for Philip Morris as a mechanic maintaining all the cigarette manufacturing machines. Peggy worked as a telephone operator until their daughter Debbie, who was disabled at birth, was born. Debbie was their only child. 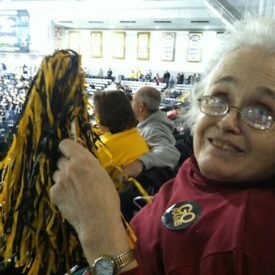 We understand that it was Debbie’s idea to move to The Virginia Home in her early 30s, perhaps with the encouragement of her mother, to give her some independence and a new life separate from her parents. We know that Debbie loved her life at The Home and was able to greatly expand her friendships and horizons. 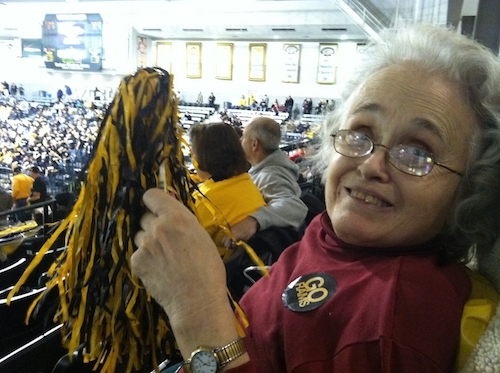 Until her death in 2015, Debbie had lived at The Home for 35 years – more than half her life. 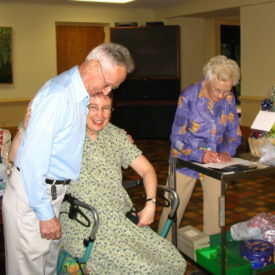 Shortly after Debbie became a resident and Bill’s retirement from Philip Morris, the Motleys began volunteering at The Home, operating a ‘Hostess Cart’. 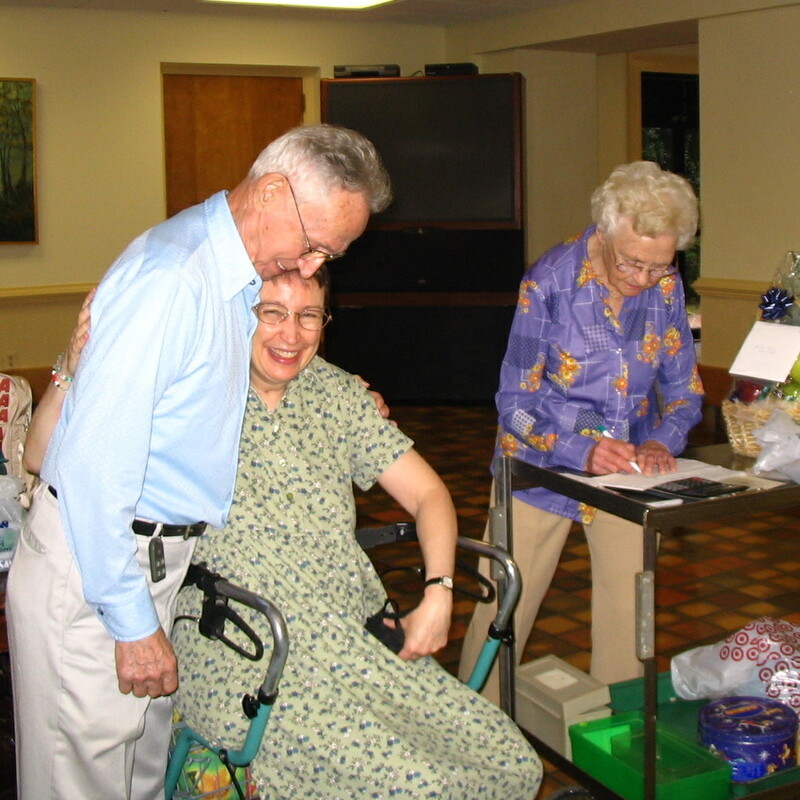 They would take orders from residents for snacks, sundries and miscellaneous personal items and then shop for them. The Motleys were also consistent and regular donors to The Home. Not only did they support our Annual Giving Program, but they also made other random, unexpected gifts as well. Some years ago they confided their plan to leave their estate to The Home. None of us would ever have imagined it would be so large. However they did appreciate the care we provided for their daughter and they expressed their appreciation through their volunteer service and financial support. The Motleys have provided us a magnificent model of generosity. Each of us in our way has the opportunity to make a difference. We do this through our annual gifts, through remembering The Virginia Home in our estate plans, through in-kind donations and volunteerism. As we celebrate our 125th Anniversary this year, wouldn’t it be great to have more occasions to celebrate generosity?